The INA139 and INA169 are high-side, unipolar, current shunt monitors. 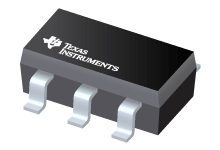 Wide inputcommon-mode voltage range, high-speed, low quiescent current, and tiny SOT-23 packaging enable usein a variety of applications. Input common-mode and power-supply voltages are independent and can range from 2.7 V to40 V for the INA139 and 2.7 V to 60 V for the INA169. Quiescent current is only 60 µA, whichpermits connecting the power supply to either side of the current measurement shunt with minimalerror. The device converts a differential input voltage to a current output. This current isconverted back to a voltage with an external load resistor that sets any gain from 1 to over 100.Although designed for current shunt measurement, the circuit invites creative applications inmeasurement and level shifting. Both the INA139 and INA169 are available in 5-pin SOT-23 packages. The INA139 device isspecified for the –40°C to +125°C temperature range, and the INA169 is specified from –40°C to+85°C.